Pi Villa, a 4BHK property located in Lonavala is perfect for a quick but fun getaway. It is beautifully done up and has a very warm vibe that it gives off. 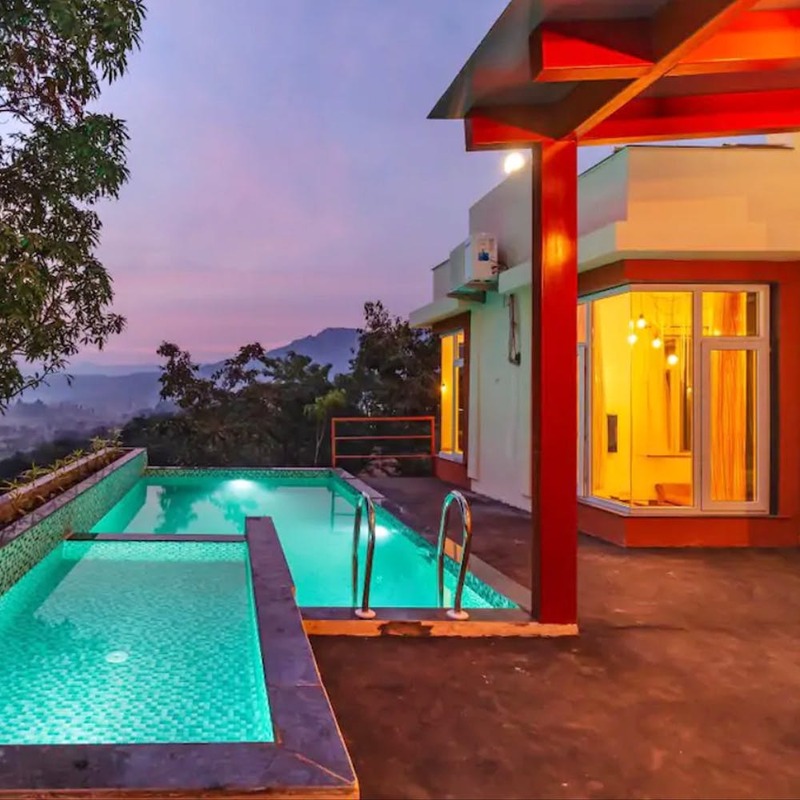 Pi Villa is a very unique property in Lonavala, owing to the view it has to offer and the activities one can indulge in while residing here. The villa is spread over three levels. While the ground floor houses the pool, the living room and one bedroom, there are two bedrooms on the second floor. The uppermost level houses the fourth bedroom and a terrace (oh yes!). The interiors of the property are highly dominated by red, yellow and blue which gives off a very warm vibe and makes it more welcoming than ever. For leisure, you can dive into the pool that faces the valley and take a dip, or sit by it with a glass of your favourite wine and enjoy the view as the gorgeous sun sets on Lonavala. The best part about Pi? Hit their turf for a quick game of football or cricket, or train with an ex-Army major in rifle shooting, archery and obstacle course! Sounds interesting, doesn't it? Meals can be arranged at very nominal prices per person (INR 1,250 includes breakfast, lunch and dinner). If you love your meat, you can opt for the non-vegetarian fare at INR 1,500 per person per day too. The caretaker of the property is very efficient and is at your service at all times. So what are you waiting for? Book away!